Independent journalism is a far more reliable source of news than the mainstream media's biased coverage of events, with emerging sources of critical thinking banding together to keep the spirit alive, writes John Pilger. 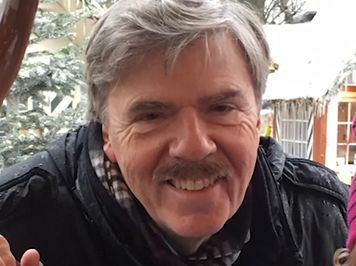 THE DEATH OF ROBERT PARRY earlier this year felt like a farewell to the age of the reporter. Parry was ‘a trailblazer for independent journalism’ according to Seymour Hersh, with whom he shared much in common. Hersh revealed the My Lai massacre in Vietnam and the secret bombing of Cambodia — Parry exposed Iran-Contra, a drugs and gun-running conspiracy that led to the White House. In 2016, they separately produced compelling evidence that the Assad Government in Syria had not used chemical weapons. They were not forgiven. Driven from the mainstream, Hersh must publish his work outside the United States. Parry set up his own independent news website, Consortium News, where, in a final piece following a stroke, he referred to journalism’s veneration of ‘approved opinions’ while ‘unapproved evidence is brushed aside or disparaged regardless of its quality’. Although journalism was always a loose extension of establishment power, something has changed in recent years. Dissent that was tolerated when I joined a national newspaper in Britain in the 1960s has regressed to a metaphoric underground as liberal capitalism moves towards a form of corporate dictatorship. This is a seismic shift, with journalists policing the new “groupthink”, as Parry called it, dispensing its myths and distractions, pursuing its enemies. Witness the witch-hunts against refugees and immigrants, the wilful abandonment by the #MeToo zealots of our oldest freedom, presumption of innocence, the anti-Russia racism and anti-Brexit hysteria, the growing anti-China campaign, and the suppression of a warning of world war. With many, if not most, independent journalists barred or ejected from the mainstream, a corner of the internet has become a vital source of disclosure and evidence-based analysis — true journalism. Sites such as wikileaks.org, consortiumnews.com, wsws.org, truthdig.com, globalresearch.org, counterpunch.org and informationclearinghouse.com are required reading for those trying to make sense of a world in which science and technology advance wondrously, while political and economic life in the fearful “democracies” regress behind a media facade of narcissistic spectacle. In Britain, just one website offers consistently independent media criticism. This is the remarkable Media Lens — remarkable partly because its founders and editors, as well as its only writers, David Edwards and David Cromwell, since 2001 have concentrated their gaze not on the usual suspects, the Tory press, but the paragons of reputable liberal journalism: the BBC, The Guardian, Channel 4 News. What is especially interesting about them is that neither is a journalist. David Edwards is a former teacher, David Cromwell is an oceanographer. Yet, their understanding of the morality of journalism – a term rarely used; let's call it true objectivity – is a bracing quality of their online Media Lens dispatches. I think their work is heroic and I would place a copy of their just-published book, Propaganda Blitz, in every journalism school that services the corporate system, as they all do. Using a vocabulary of corporate euphemisms, the publicly-funded Health Service is being deliberately run down by free market fanatics to justify its selling-off. The Labour Party of Jeremy Corbyn may appear to oppose this, but is it? The answer is very likely no. Little or any of this is alluded to in the media, let alone explained. Edwards and Cromwell have dissected the 2012 Health and Social Care Act, whose innocuous title belies its dire consequences. Unknown to most of the population, the Act ends the legal obligation of British governments to provide universal free healthcare, the bedrock on which the NHS was set up following the Second World War. Private companies can now insinuate themselves into the NHS, piece by piece. Where, asks Edwards and Cromwell, was the BBC while this momentous Bill was making its way through Parliament? With a statutory commitment to 'providing a breadth of view' and to properly inform the public of 'matters of public policy', the BBC never spelt out the threat posed to one of the nation's most cherished institutions. A BBC headline said ‘Bill which gives power to GPs passes’. This was pure state propaganda. There is a striking similarity with the BBC's coverage of Prime Minister Tony Blair's lawless invasion of Iraq in 2003, which left a million dead and many more dispossessed. A study by the University of Wales, Cardiff, found that the BBC reflected the Government line “overwhelmingly”, while relegating reports of civilian suffering. A Media Tenor study placed the BBC at the bottom of a league of western broadcasters in the time they gave to opponents of the invasion. The corporation's much-vaunted “principle” of impartiality was never a consideration. One of the most telling chapters in Propaganda Blitz describes the smear campaigns mounted by journalists against dissenters, political mavericks and whistleblowers. The Guardian's campaign against WikiLeaks founder Julian Assange is the most disturbing. With not a penny going to WikiLeaks, a hyped Guardian book led to a lucrative Hollywood movie deal. The book's authors, Luke Harding and David Leigh, gratuitously described Assange as a ‘damaged personality’ and ‘callous’. They also disclosed the secret password he had given the paper in confidence, which was designed to protect a digital file containing the U.S. embassy cables. With Assange now trapped in the Ecuadorean embassy, Harding, standing among the police outside, gloated on his blog that ‘Scotland Yard may get the last laugh’. Moore, who describes herself as a feminist, later complained that, after attacking Assange, she had suffered “vile abuse”.
. @suzanne_moore That's a real shame, sorry to hear that. But how would you describe calling someone 'the most massive turd'? Vile abuse? Such slow-witted viciousness appeared in a newspaper described by its editor, Katharine Viner, as “thoughtful and progressive”. What is the root of this vindictiveness? Is it jealousy? A perverse recognition that Assange has achieved more journalistic firsts than his snipers can claim in a lifetime? Is it that he refuses to be “one of us” and shames those who have long sold out the independence of journalism? Journalism students should study this to understand that the source of “fake news” is not only trollism, or the likes of Fox news, or Donald Trump, but a journalism self-anointed with a false respectability; a liberal journalism that claims to challenge corrupt state power but, in reality, courts, protects and colludes with it. The amorality of the years of Tony Blair, whom The Guardian has failed to rehabilitate, is its echo. Her political writer, Jonathan Freedland, dismissed the yearning of young people who supported the modest policies of Labour leader Jeremy Corbyn as ‘a form of narcissism’. ‘How did this man...,’ brayed The Guardian's Zoe Williams, ‘get on the ballot in the first place?’ A choir of the paper’s precocious windbags joined in, thereafter queuing to fall on their blunt swords when Corbyn came close to winning the 2017 general election in spite of the media. The Syria Campaign, set up by a New York PR agency called Purpose, funds a group known as the White Helmets, who claim falsely to be “Syria Civil Defence”. They've been seen uncritically on TV news and social media, apparently rescuing the victims of bombing which they film and edit themselves, although viewers are unlikely to be told this. George Clooney is a fan. The White Helmets are appendages to the jihadists with whom they share addresses. Their media-smart uniforms and equipment are supplied by their Western paymasters. That their exploits are not questioned by major news organisations is an indication of how deep the influence of state-backed PR now runs in the media. As Robert Fisk noted recently, no mainstream reporter reports Syria from Syria. In what is known as a hatchet job, a Guardian reporter based in San Francisco, Olivia Solon – who has never visited Syria – was allowed to smear the substantiated investigative work of journalists Vanessa Beeley and Eva Bartlett on the White Helmets as ‘propagated online by a network of anti-imperialist activists, conspiracy theorists and trolls with the support of the Russian government’. When he was U.S. commander in Afghanistan, General David Petraeus declared what he called ‘a war of perceptions... conducted continuously using the news media’. What really mattered was not the facts but the way the story played in the United States. The undeclared enemy was, as always, an informed and critical public at home. Nothing has changed. In the 1970s, I met Leni Riefenstahl, Hitler's filmmaker, whose propaganda mesmerised the German public. She told me the messages of her films were dependent not on orders from above, but on the submissive void of an uninformed public. Well said. Critical thinking, obligation to the truth, independent analysis and investigation, ...all principles of journalism are gone. Clearly they are publishing the ideas of those who owned them. Then, they get mad if you call them fake news. With all the #censorship going around ..I have the outmost respect for independent citizen journalists and small publications that are trying to report real hard risky news.